Norwood Park is a 33-acre park located in West Norwood, South East London. It is situated on one of the highest points in the Borough of Lambeth and, on clear days, offers the visitor a spectacular view over London spanning from Hammersmith in the West to the Millennium Dome in the East. Being located by Central Hill and, in larger part, Salters Hill SE19, Norwood Park is quite hilly. Less than a mile away is Westow Street which is one of the highest points in London at 366 ft (111 m) elevation above sea-level. The fifth tallest structure in London, Crystal Palace transmitting station, is about a mile away and clearly viewable from The Park. Due to being hilly Norwood Park is not being used to its fullest potential by many but there are some hidden delights. Winter snow provides good conditions for downhill sledging which is popular for locals. The West End & Crystal Palace Railway line passes alongside the perimeter of the park between Gipsy Hill Railway Station & West Norwood Railway Station. In the 60's especially, the railway line area was popular to some locals for trainspotting steam trains. Today, there are around 30 different species of trees in the park including Oak, Horse Chestnut and Sycamore. A "path has one of the best collections of willows in Lambeth, including goat willows, white willows, grey willows and osiers." In autumn (around the wooded areas) varied species of mushrooms grow and "nearly 300 different wild flowers and ferns, such as honeysuckle, wild clematis, creeping buttercup, white clover and summer snowflake (to name just a few). There's a "willow arbour for bird watching, as well as an avenue of native fruit trees, thickets of wild roses, country hedging, a pond and several sections of meadow land." A "Wildlife Team" of volunteers, led by John Cotter, work every Saturday throughout the year, rain or shine, from 1-4pm. This voluntary work (being done since April 2001) is to create a "perfect Country Walk" which runs from Finch Avenue (SE27 9TX) to Salters Hill (West Dulwich). Turning a 3-acre area of Norwood Park, once overrun with brambles, "into a ‘Perfect Piece of Countryside’ with all the trees, flowers and ferns once native to London. And with a Country Walk winding through it." Volunteers have created an avenue of native fruit trees, country hedging, thickets of wild roses, ferneries, pond and bog and small meadows. 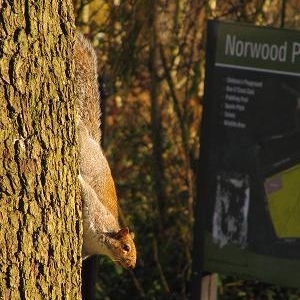 Details of "How to Get Involved" can be found on their 'Norwood-park.org.uk' website and supporters can view their Facebook page ("Norwood Wildlife Team"). Norwood Park contains an excellent new playground complex for all ages up to teenage - including a small mini football (soccer) pitch. There is a 'One O'Clock Club' for young children and carers and a volcano-themed paddling pool, but it's not in use for much of the year. (Originally the pool design was simply round, and like the one located at nearby Streatham Common). Historic photos of children enjoying the pool and playground areas in times past can be viewed online on the 'Friends of Norwood Park' website. For a number of years the football pitch has been used by Flatland BMX'ers who refer to it as 'The Green Mile' or 'TGM' for short. 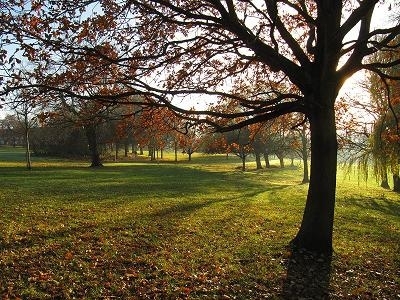 Here's the our members favorite photos of "Recreational Areas near London Borough of Lambeth". 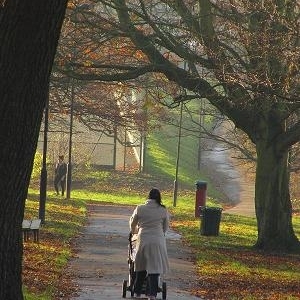 Upload your photo of Norwood Park!